At Chaparral West, we are not only committed to building and selling quality homes, but also creating a warm and welcoming space for you to call home. A place to enjoy yourself and make life long memories for you and those that matter most in your life. Buying a new home is one of the most important decisions you will ever make. How your home is built is just as important. At Chaparral West our goal is to build each of our homes with quality and attention to detail in mind. With decades of experience to support those goals, we have been able to consistently achieve success in these areas. Chaparral West dedicates time in developing and building unique designs and custom detailing. We stay on the leading edge of the new home market with the latest ideas, products and design concepts while never leaving behind the timeless traditions that will make your new home a place where you can live the lifestyle you choose everyday. We strive to provide you with the quality you deserve, the elegance you desire and a home that reflects you. Ron and his wife Terri work as a Builder/Designer Team. They go beyond just the selection of a color palette. They work hard to bring style and creativity, blended with an effective use of space and an eye for practical living. They believe each and every home deserves their best effort no matter the price point. They are committed to staying current with new home designs and trends in the constantly evolving new home building industry. 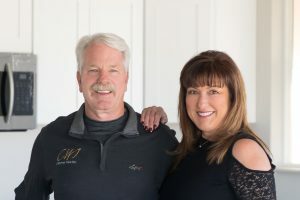 Like hundreds in the Grand Valley have done over the years, let Chaparral West Inc. make your new home dream come true with the knowledge, craftsmanship, and customer care that only comes with over 42 years of experience. 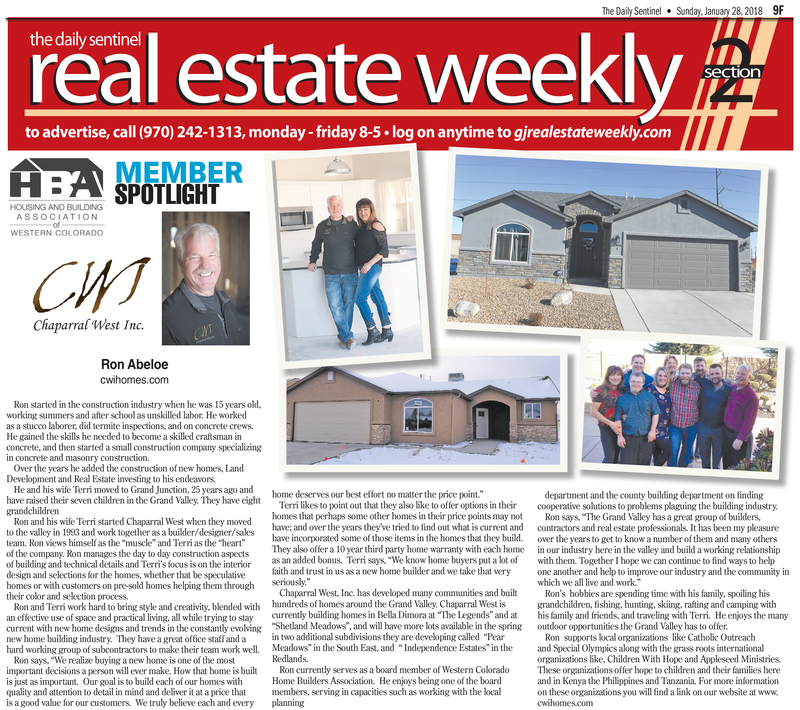 Terri also holds a Colorado Real Estate Brokers License, Traditions Real Estate, and can help you with the purchase of any one of our homes that you choose. At Chaparral West, we believe in giving back. Below are links to some of the organizations that we support each year.